An ideal follow up to a Private Session. After a powerful private session engage with the details and action steps necessary to proactively transform and uplevel your status quo. Coaching Packages Are Here! 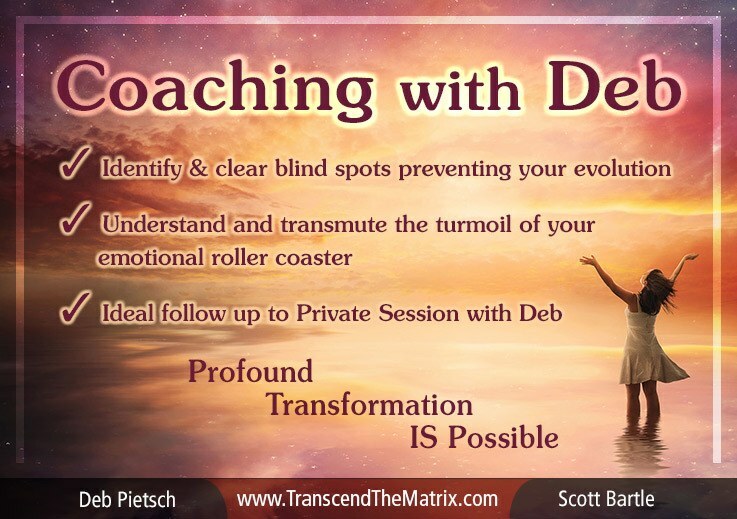 Post a Private Session Deb assists you with action steps and energetic Unified Field of Light to Create Your Desired Reality. It is very common that once someone has 1 session, they want more. Why? 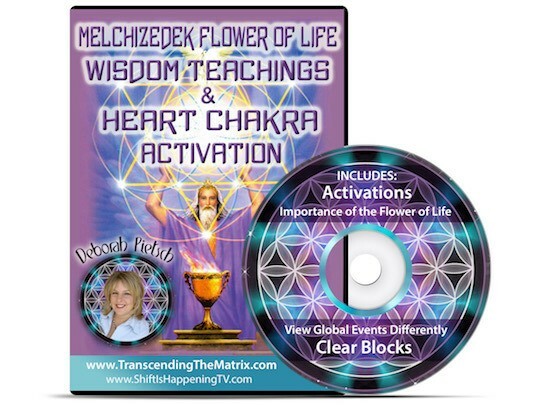 Because so much detail comes through in the private session, along with the Activations and the powerfully transformative results of working with your Holographic Field. I’m constantly asked by private clients, “what’s next, what’s next” and I’ve said for a long time that I would put together coaching packages; but until now hadn’t gotten to that item on “the list”! Coaching sessions are a combination of phone time and written questions / engagement spawned from communication with your Higher Self. It’s a unique and cutting-edge way to move forward, actually leap frog your forward motion and movement. The phone part of the session is recorded via conference line or (for example) Skype. The sessions are meant to be “sprints” of details for you to work with. By taking specific action in the areas of your life that are not shiny, whole and super charged with forward motion, you will affect other areas of your life (think string theory). 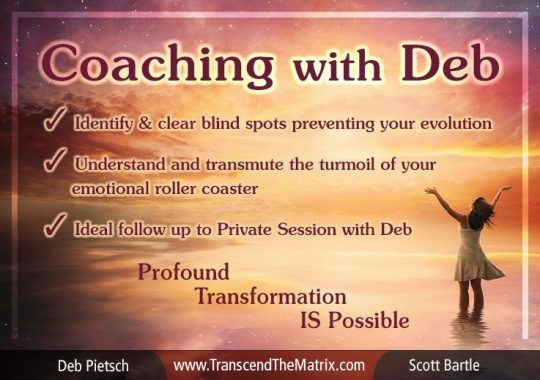 Coaching is also a time for you to bring in more of your life’s details that need attention in to the conversation, as opposed to just the conversation that Deb brings forth from telepathic communication with your Higher Self and Guides.